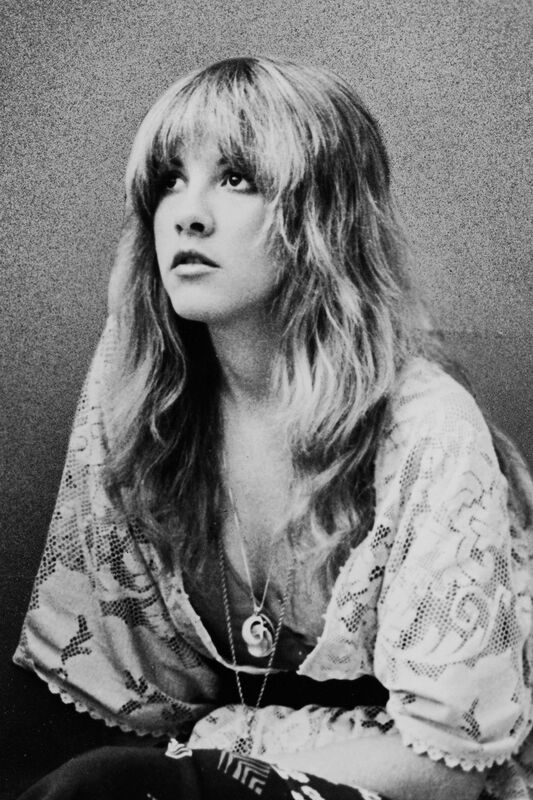 I’m not sure that there’s someone more influential to romantic bohemian style than Stevie Nicks. 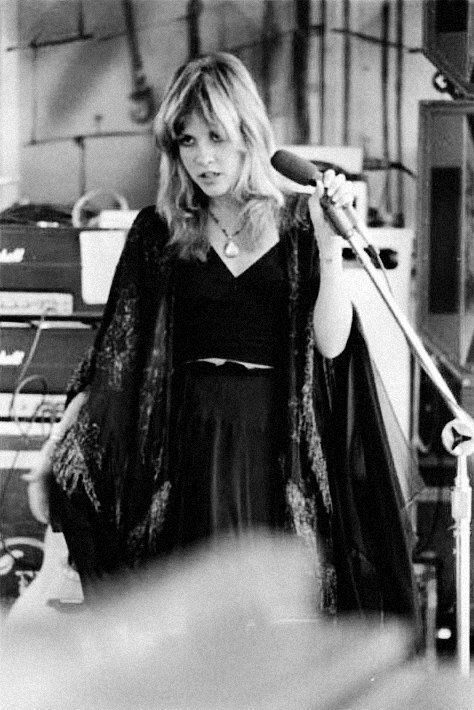 I find myself being drawn to her style staples time and time again; velvet, bell sleeves, gold, fringe, oversized flowy dresses and wraps, platform tall boots, etc. 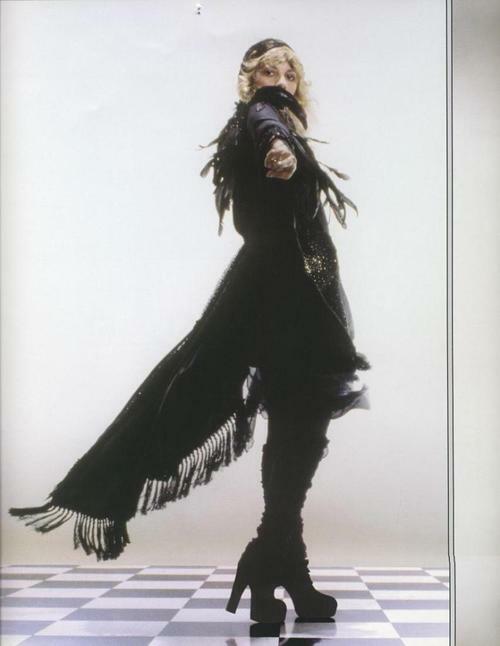 In addition to her impact and contribution to music, her fashion sense was and is pretty awesome and pretty instrumental at that. Much of the staples of boho style are renditions of looks she proliferated. 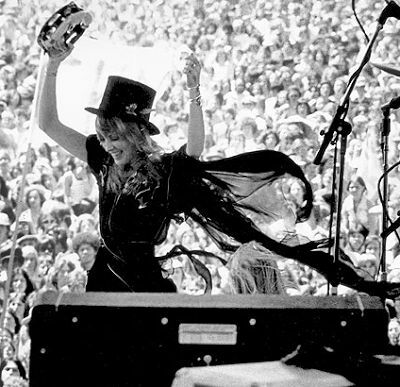 The essence of brands like Free People is their hippie aesthetic, which is basically based on the Stevie Nicks style playbook. I’ve drawn form that playbook once or twice myself and I mean, what girl hasn’t? 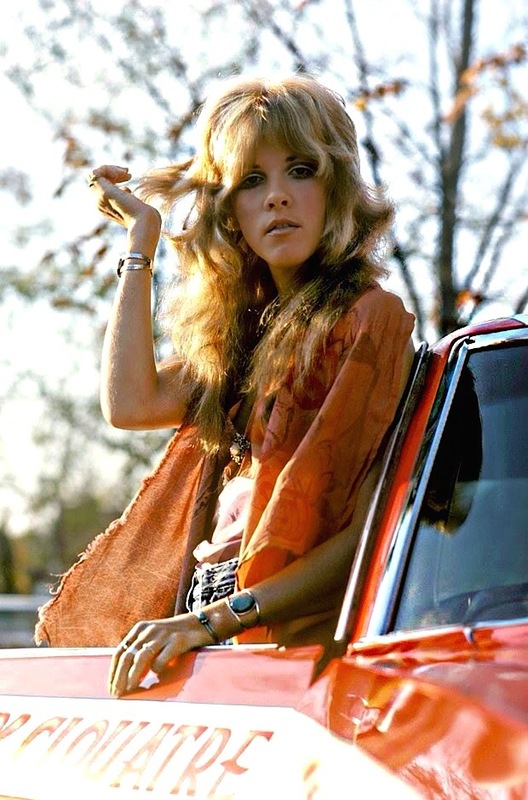 In a way, she was a kind of musical gypsy in the way she wove magic as a singer and songwriter. Her songs evoke a kind of alchemy you can’t quite put your finger on, and her lyrics speak on raw truths about the female side of the human condition. 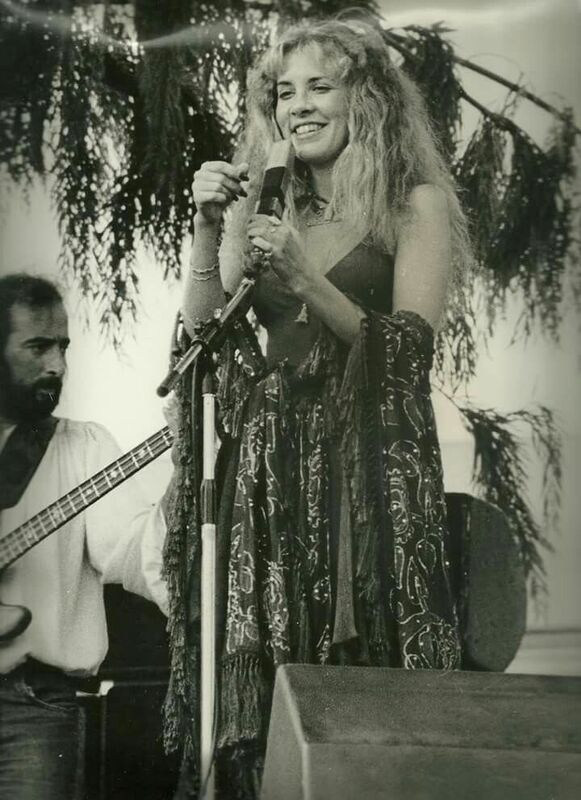 Her voice is haunting yet beautiful, and her gypsy bohemian style matched her vocals seamlessly. The entire image worked in conjunction to create what the musical world has recognized as rockstar goddess status. 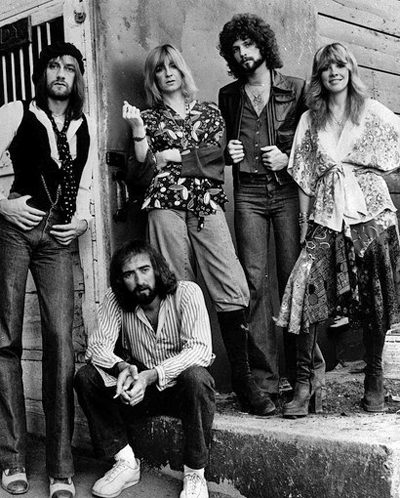 The ingredients of the magic that was and is Fleetwood Mac is a blueprint for modern folk pop rock music ever since their reign. The same can be said for female artists’ fashion choices. 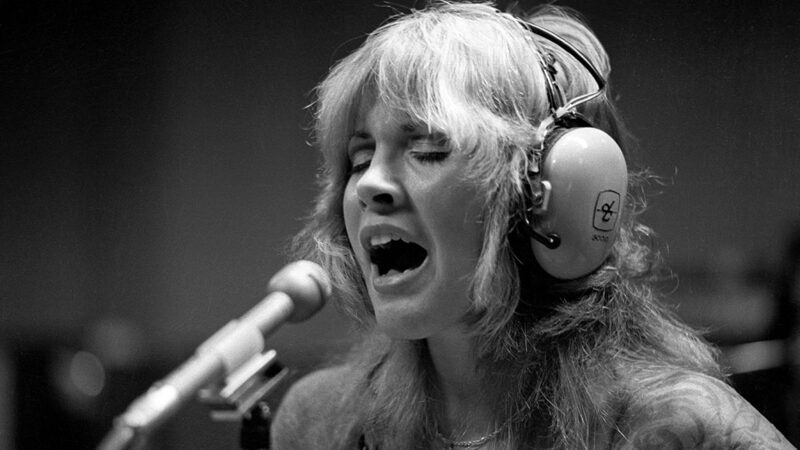 Stevie Nicks began singing in a folk pop duo with her then boyfriend Lindsay Buckingham. Being in a folk pop duo and her struggle resonates strongly with me, as does her will to support a creative dream. She waited tables at Bob’s Big Boy to support herself and Lindsay, volunteering herself as the breadwinner to allow Lindsay to focus on his guitar playing, which was becoming more brilliant every day. “I didn’t want to be a waitress, but I believed that Lindsey didn’t have to work, that he should just lay on the floor and practice his guitar and become more brilliant every day…as I watched him become more brilliant everyday, I felt very gratified. I was totally devoted to making it happen for him. I never worried about not being successful; I wanted to make it possible for him to be successful. And when you feel that way about somebody, it’s very easy to take your own personality and quiet it way down. I knew my career was going to work out fine. I knew I wasn’t going to lose myself. There wasn’t much bread to go around however, in the early years. “We were so poor that we used to share a hamburger for dinner, or sometimes a slice of pizza. Self sacrificial love was a key in Nicks’ success as was discerning what style suited her best. Almost innately she favored loose chiffon shapes that created a sort of other worldly angelic vibe, platform boots which added to her small stature and paired beautifully with her outfits, and colors which suited her overall mysterious gypsy allure. 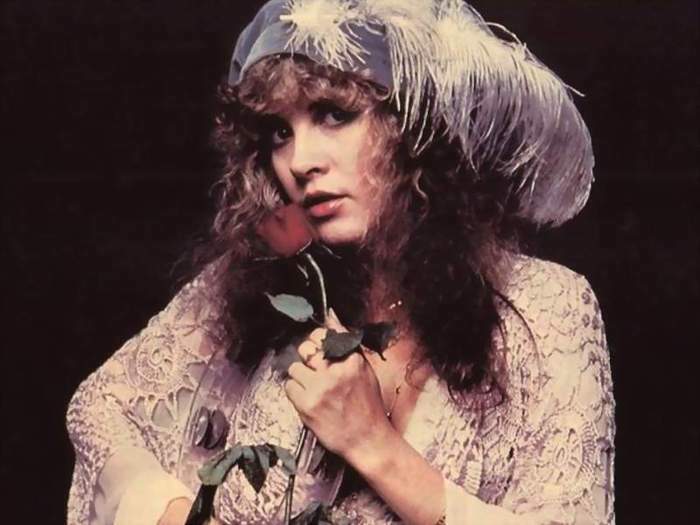 Though Stevie would will herself to avoid stores and shopping she became so famous in such a life altering way and a fast span of time, that she soon amassed a treasure trove of the pieces designers emulate and it girls favor today. 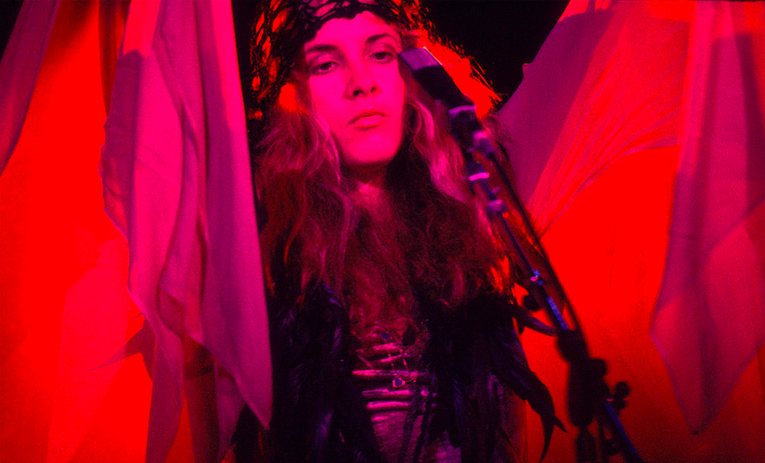 She told her bandmate Christine what she believed about being a woman immersed in what was then a man’s world , “… you know, we can never be treated like second class citizens here. So when we walk into the room, we have to walk in with a big attitude. They did get invited to the party that is rock music, and have remained fixtures there ever since. 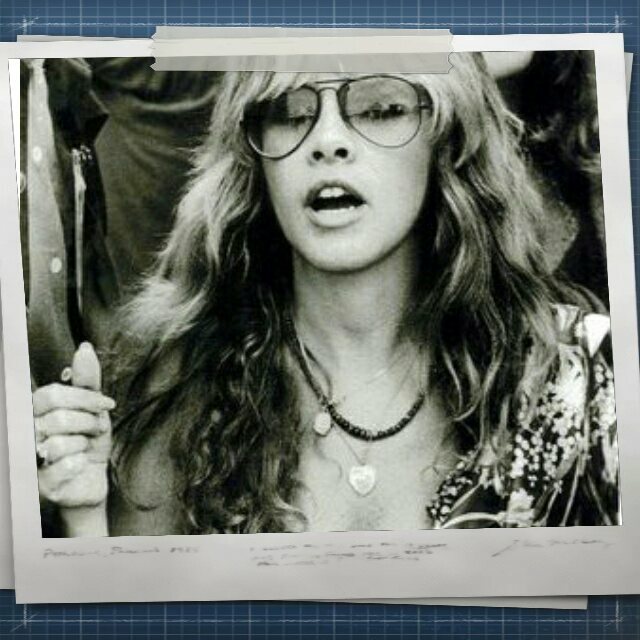 Stevie continues to be a fashion icon and rock pioneer today and admire her for doing so, and embracing her individuality and all that makes her Stevie.